air every minute. So it’s pretty important that the air is clean. But often it is not. How does air pollution affect humans? See more below. 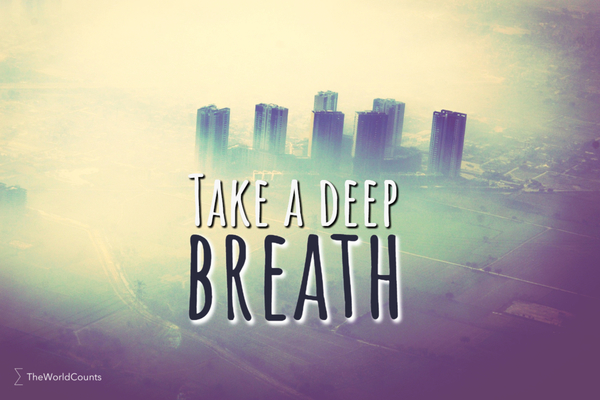 You breathe about 11,000 liters of air every day. That's nearly 8 liters every minute and more than 300 million liters over a lifetime. But have you thought about what's in the air? The air you breathe contains lead, arsenic, mercury, benzene, dioxins, cadmium to name a few of the things that are not good for you. The negative effects of air pollution might have been grossly underestimated. About 4 percent of deaths in the United States, and more than 10 percent of lung cancer in Europe, is caused by urban air pollution. In 2030, premature deaths from lung cancer are projected to be multiplied by 4. We inhale about 11,000 liters of air a day. This is, of course, a rough average estimate. The actual number varies. How stuff works: How much oxygen does a person consume in a day? Interested in more facts like the air that you inhaled today? Then plug in and subscribe to our newsletter.